The Nagaland government has formed a committee headed by commissioner and secretary to the chief minister, Abhishek Singh, to streamline the inner-line permit (ILP), effectively curb illegal immigrants and bring out a strong policy to safeguard the rights and security of indigenous inhabitants of the state following the ongoing NRC exercise in Assam. 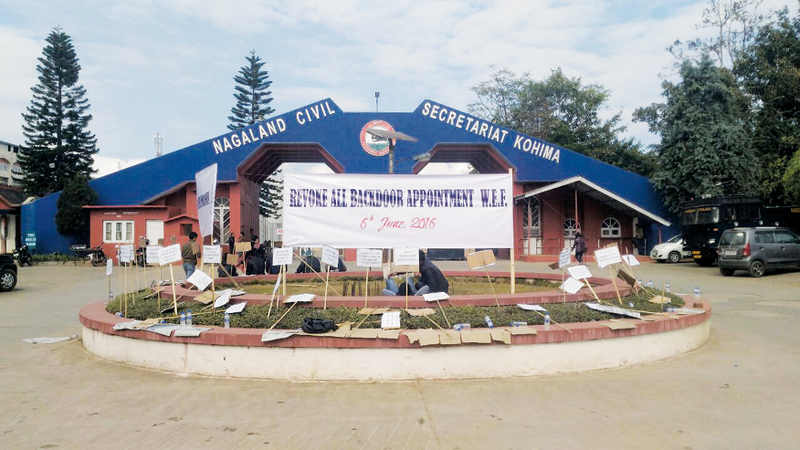 The committee was formed after the Joint Committee on Prevention of Illegal Immigrants (JCPI) submitted a representation to the state chief secretary Temjen Toy, at a meeting in Kohima on August 18 listing their demands, the JCPI said in a release on Tuesday. At the meeting, the JCPI members also requested the committee to visit regional transport authorities and the municipal councils/town committees in the districts with regard to random issuance of driving licenses and trade licenses to suspected illegal immigrants. The newly formed committee has been asked to submit an interim report within 15 days on comprehensive action plan and mechanisms on these issues. The JCPI hoped that the committee headed by a senior bureaucrat would fully satisfy the demand of the Naga public. The JCPI had strongly urged the formation of ILP monitoring cell and foreigners’ tribunal to deal with the influx of illegal immigrants, the statement said. It also suggested that the issuance of ILP in Dimapur should be handled by the police commissioner ate office rather than the office of the deputy commissioner as an experimental measure. The JCPI also raised the issue of non-indigenous people serving as gaon burhas (village headmen), particularly suspected illegal immigrants, in Dimapur area. The JCPI formed by the civil society organisations, tribal Hohos, NGOs and pressure groups of the state had further urged the state government to extend the Bengal Eastern Frontier Regulation Act, 1873, across Nagaland, especially in Dimapur district, to curb influx of illegal immigrants.